Maria Coromoto speaking on her Mother, Servant of God, Maria Esperanza. 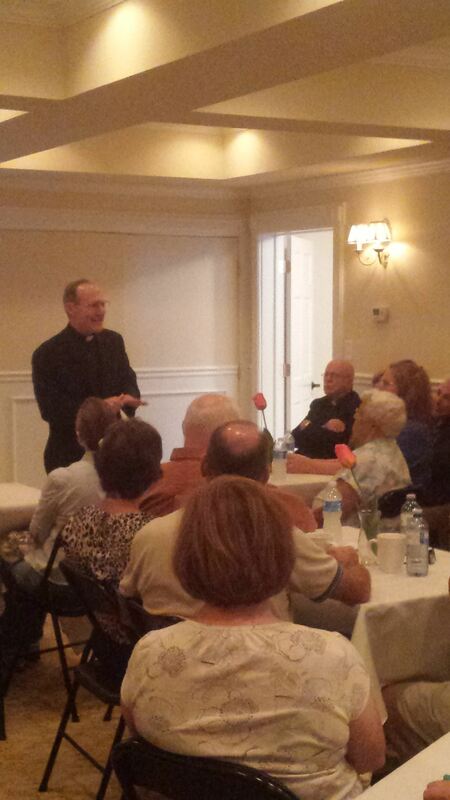 Deacon Bob hamilton took us on a journey through God’s Divine love for each one of us. Fr. Joseph Byerley speaking on Redemptive Suffering. The Cross is the junction between love and suffering. Fr. Mike Matveenko gave great insights into the time and history surrounding the Inquisitions. Kari Janisse Sharing God’s Love with the Children of Haiti at the Missionaries of Charity Home. Fr. Timothy Byerley – The Spirituality of Maria Esperanza. Fr. Kevin Mohan – Meditating on specific mysteries of the Rosary in connection to life events. Fr David Rivera on ouija boards and the occult. Fr David Rivera – The best way to fight the occult is to give praise to God. Fr. Szolack – History of the persecuted Church in England. Fr. Szolack – Speaking to a captivated audience.